My name is Victoria and I blog over here. Thank you to Michelle for allowing me to guest post on her fabulous blog. 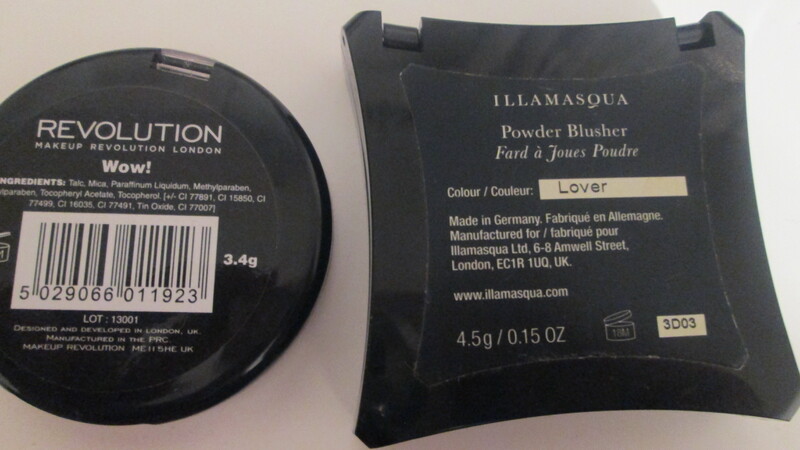 Today let’s talk about two of my favourite blushers, one from high end and one from the drugstore. When it comes to blusher I am a very fussy lady. I don’t love pink shades due to my cheeks having a pink undertone. I find that pink blushers enhance my pores and make me look very doll like. Let’s get talking about the blushers. Makeup Revolution have quite literally taken everyone by surprise and keep knocking out fantastic products. My good friend Shannon Wilson sent me a parcel of treats and goodies and this blush was included. I did not think I would love it at all. It is so pigmented but you can get a light flush look by gently tapping your brush into the blush without going 80’s glam on your brush. I think a huge factor into changing my mind on the colour was how well it blended out and didn’t look straight up pink on me. What I was shocked about the most was the longevity of the blush on my cheeks. It lasted all day and didn’t separate once. The packaging is basic and not special but the product has converted me to looking at pink blushers in a different light. When I went to Cardiff at Christmas I forgot to take a blush on my overnight trip. Did I need one? No but hey it was Christmas. 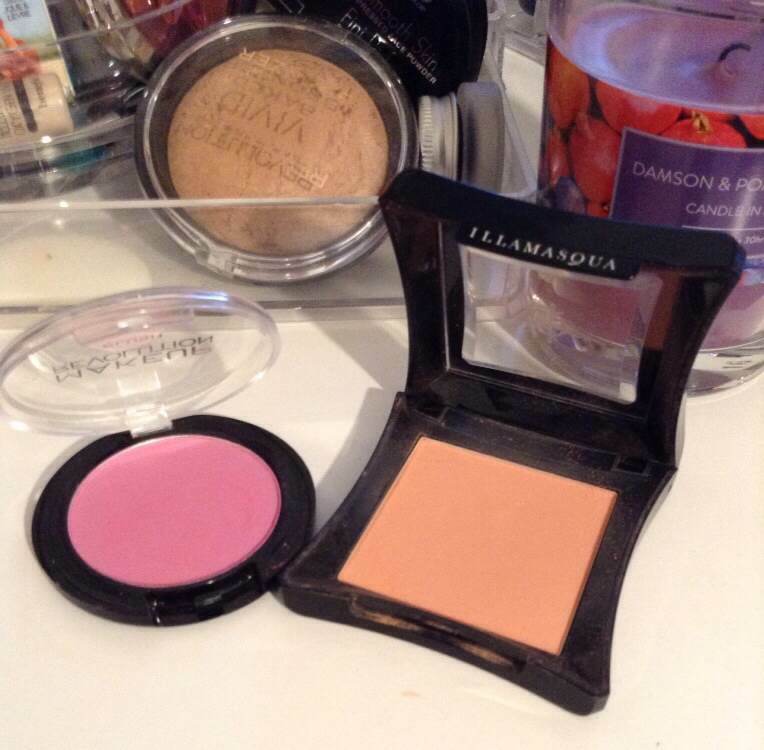 I was browsing around Debenhams and drifted to the Illamasqua counter. Immediately I thought ok let’s splurge. I tried a few shades before my eyes went to Lover. When I say holy grail product I mean it with this baby. It is the most perfect peach blusher in the world. 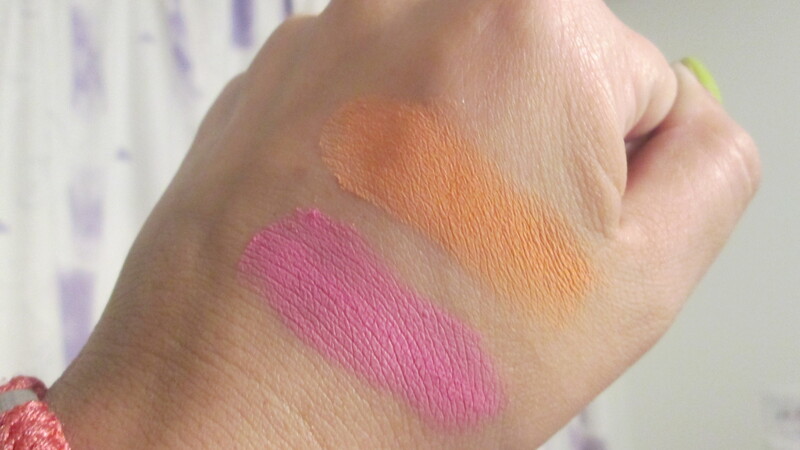 It is seriously pigmented, buttery to touch, blends like a dream and looks gorgeous on my fair skin. Just perfect. It stays put all day and I have often used it as a transition shade on my eyes. It was however £18 which is expensive. As you can see from the pictures both blushers are gorgeous and year round friendly. I don’t tend to stick with trends for makeup. I wore MAC Diva just last week. I hope you liked this post. Please feel free to pop over to my blog and have a read. Next Post My Blue Eyeliner Summer Look!